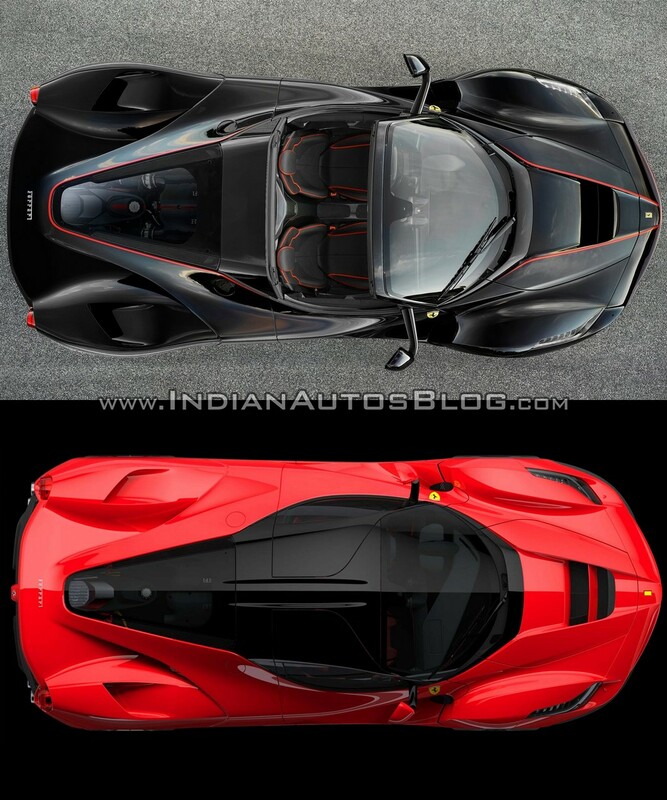 Ferrari LaFerrari range becomes history with three derivatives, 681 units sold. Ferrari has released the first images of the Ferrari LaFerrari Spider (name unconfirmed), the convertible version of the Ferrari LaFerrari. The company will announce the name and complete specifications of the new model at the 2016 Paris Motor Show. Here's a pictorial comparison between the ultimate Ferrari's coupe and convertible versions. The Ferrari LaFerrari Aperta is the final derivative of the Ferrari LaFerrari. The Ferrari LaFerrari's convertible version will likely be named 'Ferrari LaFerrari Aperta', the name of the car's image on the company's official website suggests. 'Aperta' is Italian for 'open'. The Ferrari LaFerrari Aperta will be available with a removable carbon-fibre and a removable soft top. Ferrari has made significant and extensive modifications to the chassis to retain the the coupe version's torsional rigidity and beam stiffness in the convertible version. As seen in the images, changes have been made for aerodynamics also, which keeps the drag coefficient the same even without the roof. 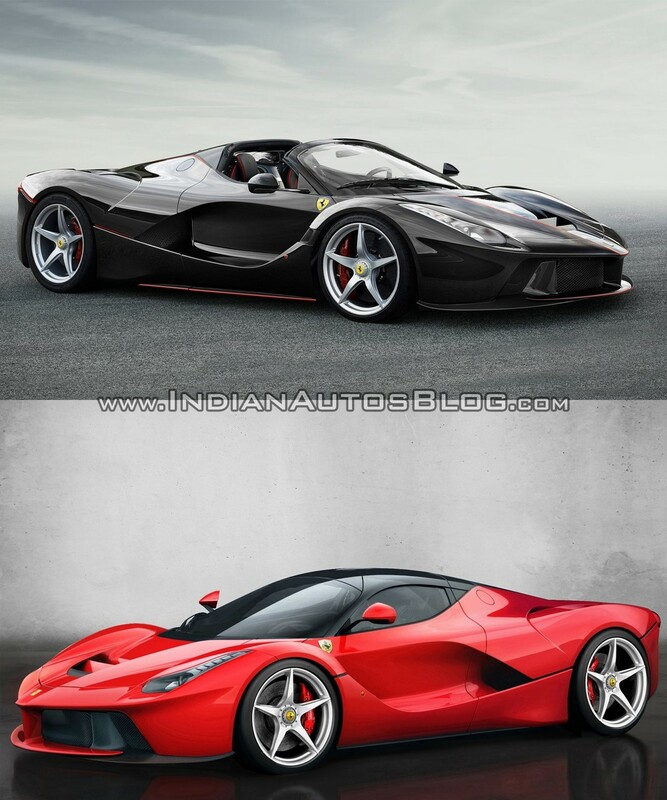 The Ferrari LaFerrari Aperta has same running gear and performance figures as the Ferrari LaFerrari coupe. The convertible version has the same running gear and performance figures as the coupe version. This means that the Ferrari LaFerrari Aperta has a 949 hp hybrid system consisting of a 789 hp 6.3-litre naturally aspirated V12 petrol engine married to a 161 hp electric motor. The open-top version is a "limited edition special series", with production limited to just 150 units. There's no way to order it, as it was already sold-out prior to its online revealing.